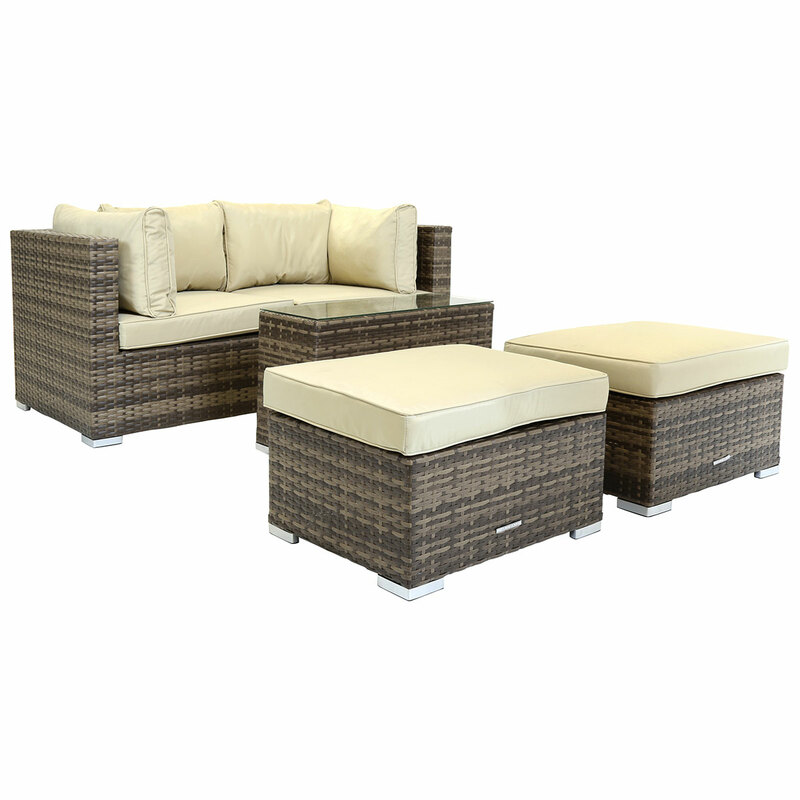 Relax outdoors in luxurious comfort with our contemporary rattan lounge set, perfect for adding a stylish touch to any garden or patio. 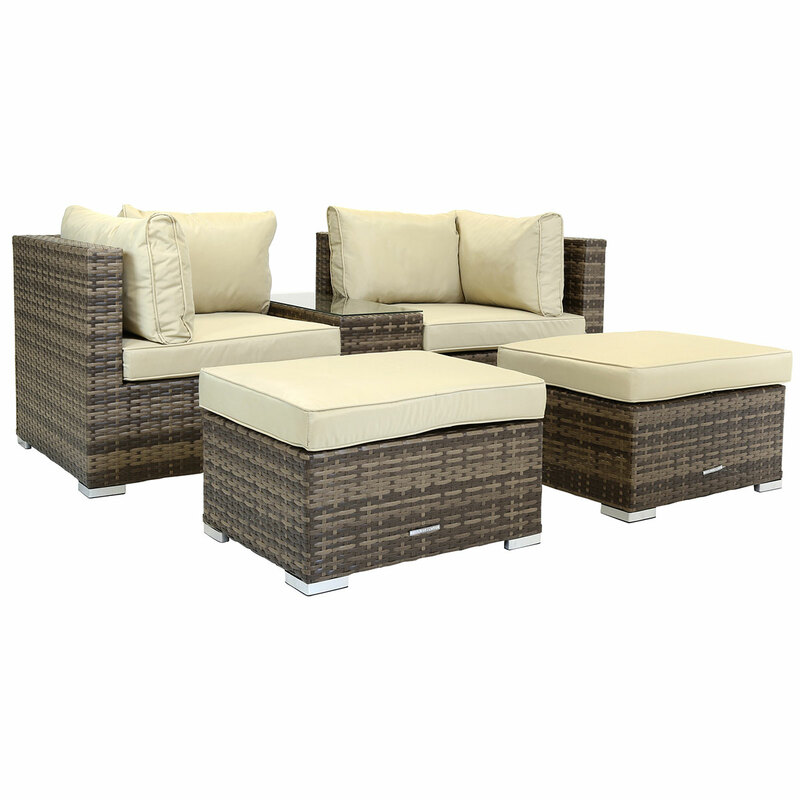 A perfect set for two to four people, this set comprises of a companion seat, 2 footstools, a coffee table and cushions, for added support. 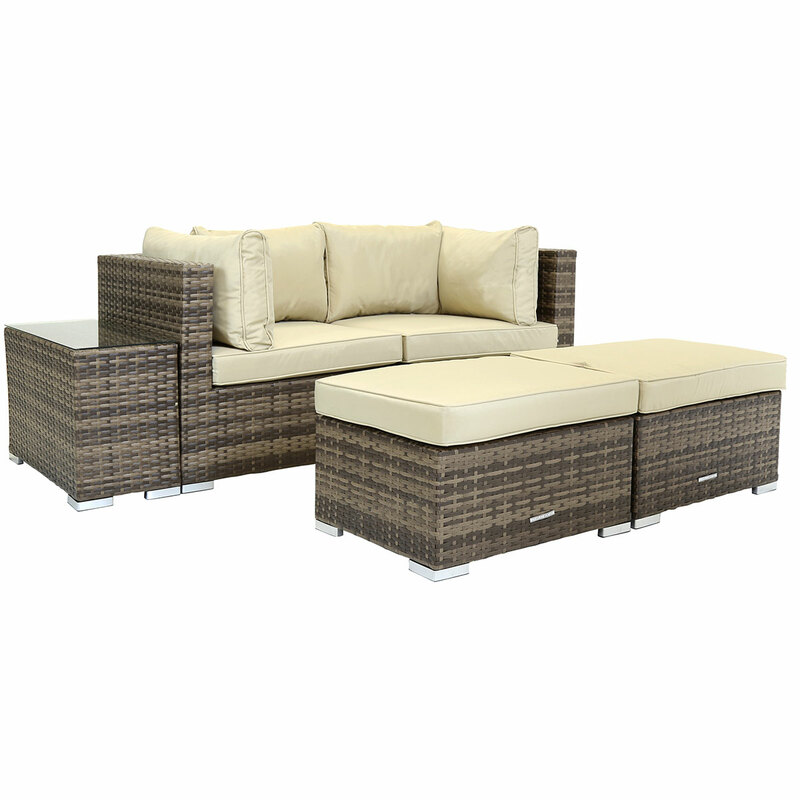 Highly versatile, this impressive lounge set can be used as a day bed, sofa, L-shaped sofa or a 4 seater lounge set. 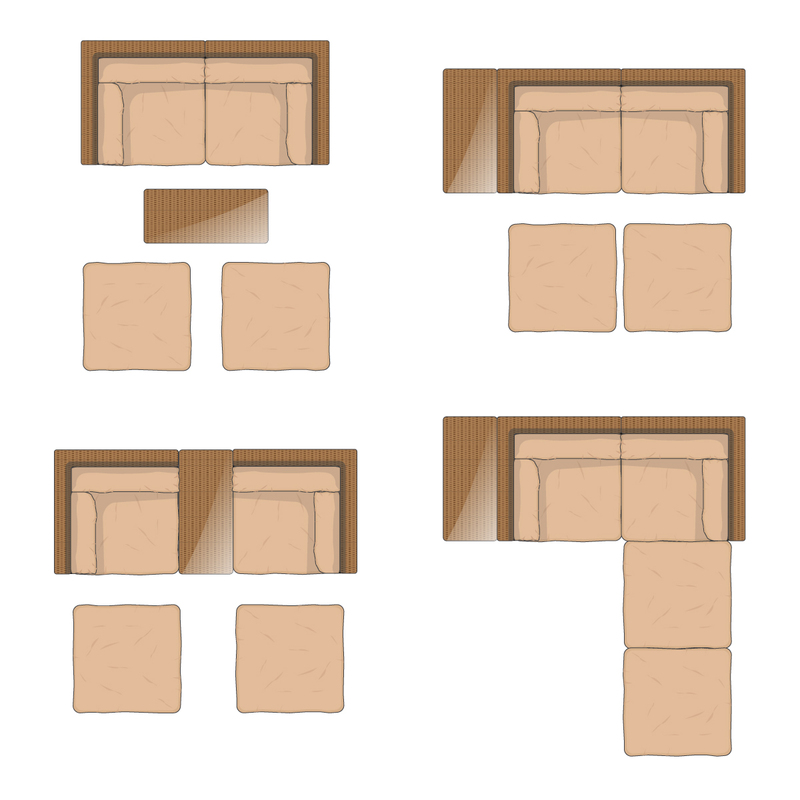 The coffee table is finished with tempered glass, for added durability. 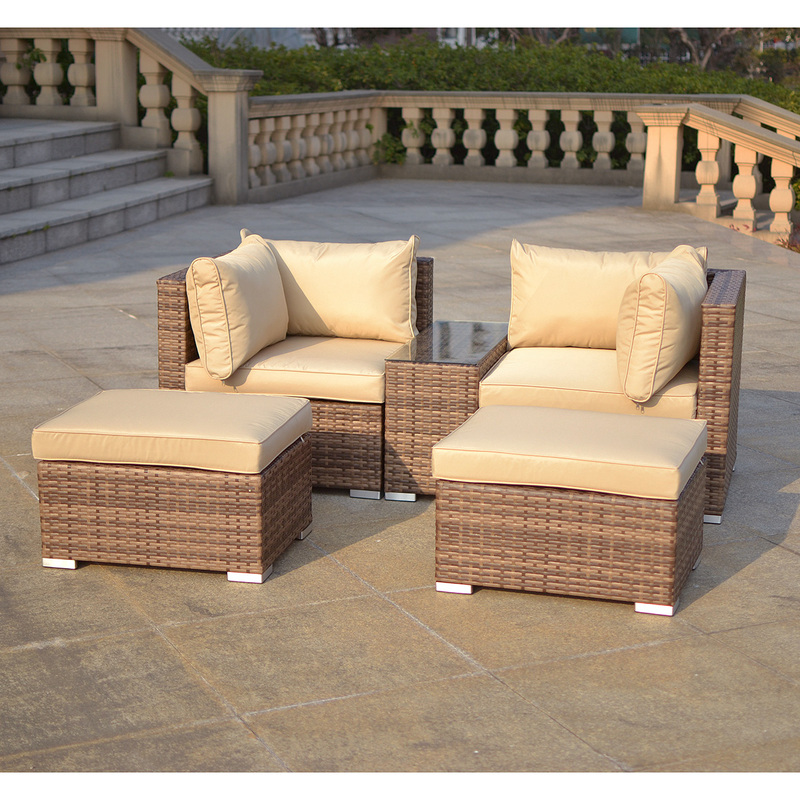 Made from a flat weave variegated rattan which is weatherproof, this durable lounge set can withstand harsh elements. 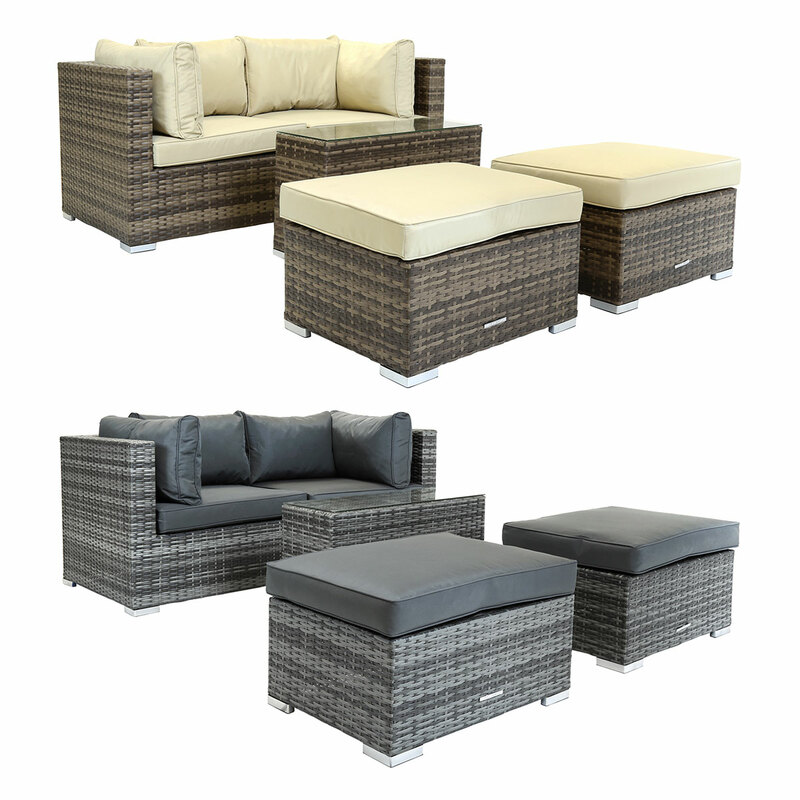 Available in a choice of either grey or brown, this fashionable set can be teamed perfectly with either of our Verona or Napoli rattan furniture ranges. 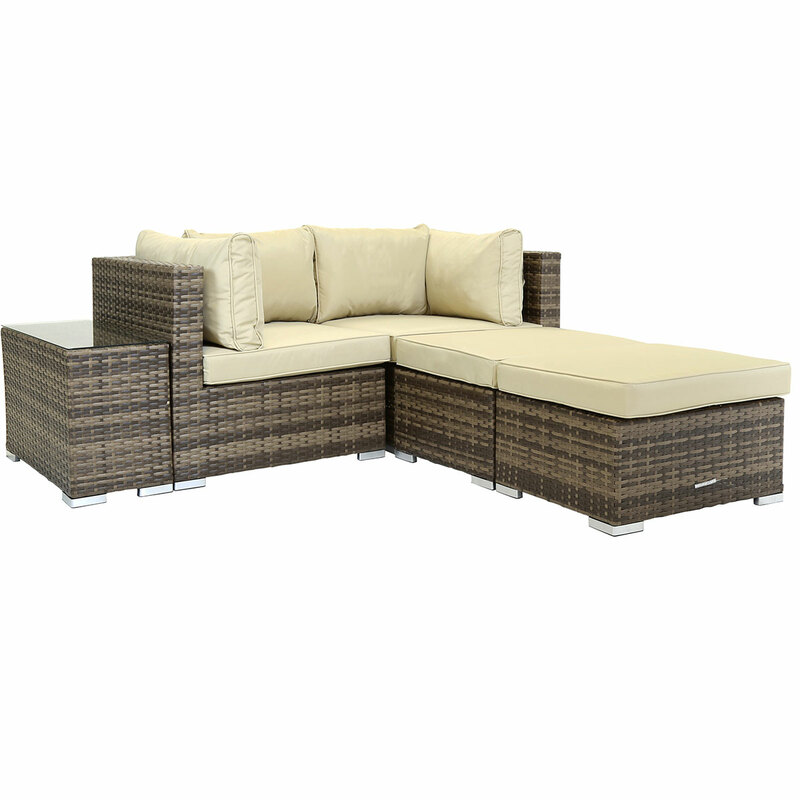 To extend the product life and appearance, we advise to store the furniture in a cool and dry indoor place during the winter and unexpected weather conditions. When not in use store cushions in a clean and dry indoor place. Wipe with warm, soapy water and dry thoroughly.